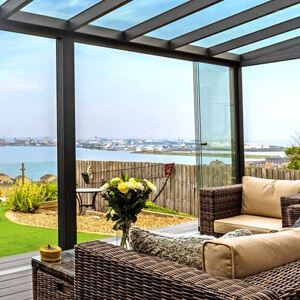 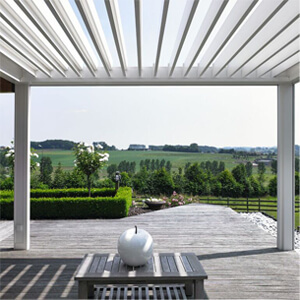 SunSpaces is a range of contemporary outdoor structures that includes verandas, garden rooms, awnings and glass extensions. 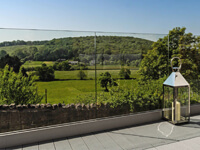 Choose from a near-endless variety of bespoke structures. 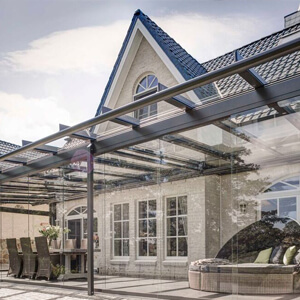 Modular by design, the garden structures and verandas allow for almost any shape and size, giving us the ability to easily deliver a bespoke design to suit your home precisely. 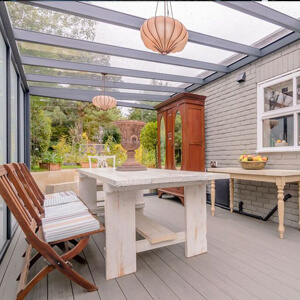 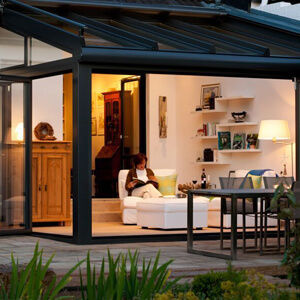 A contemporary garden room or veranda will afford you the extra freedom to enjoy your garden for longer than just the summer months. 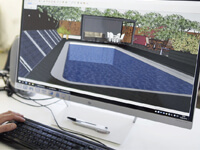 Get a 3D rendering of your ideal garden room or veranda with our complementary design service, which is designed to help you explore the range of available options. 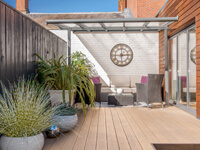 With a wide range of garden structures available through SunSpaces, we can create your perfect outdoor living space. 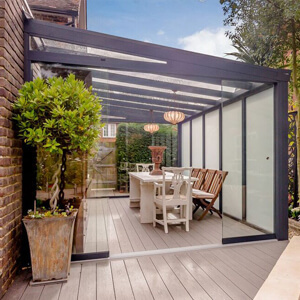 Whether you prefer a garden room, a veranda, a glass extension, or just an awning, we can create a bespoke solution just for you. 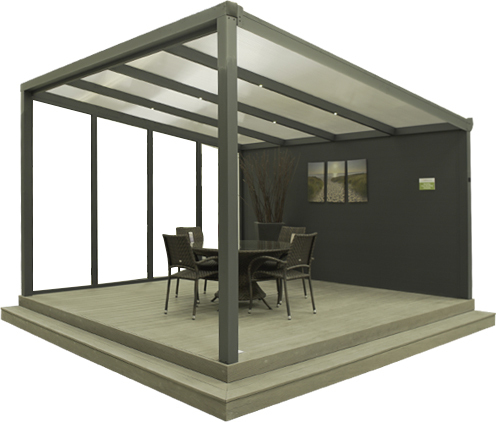 SunSpaces garden rooms are manufactured from robust, low-maintenance aluminium, and they aredesigned to fit together like a glove, making the installation quick and easy, and making the end result a stunning addition to your outdoor living space. 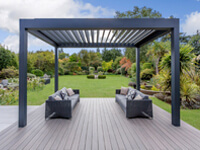 The difference in building types allows us to match a structure to your lifestyle and preferences, and a free 3D design service from Greensquares helps depict how these structures will look in your garden. 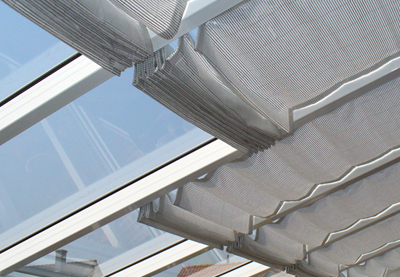 FlexibilityDifferent materials available for roof (glass or polycarbonate) and sides (glass, polycarbonate or composite). 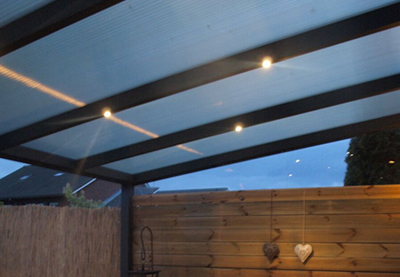 LightingWe can provide a number of lighting options for your structure, according to your preferences. 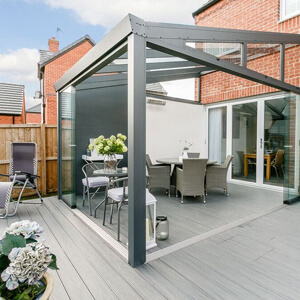 Colour VariationOur strong aluminium structures are available in a variety of colours to suit your home and preferences. 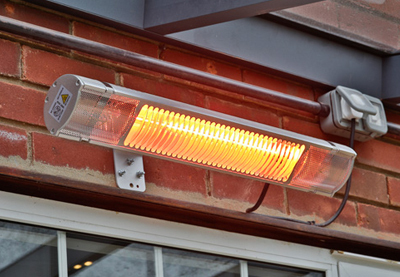 HeatingAn efficient heating system can be provided to help you keep warm during chillier times of year. 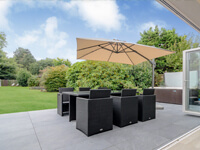 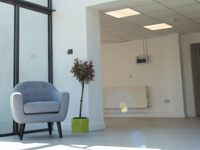 We also offer a range of additional products to enhance your outdoor living spaces, for example we offer a range of different LED lighting solutions, indoor and outdoor heaters, and a wide range of blinds and awnings, which can help when shading is required. 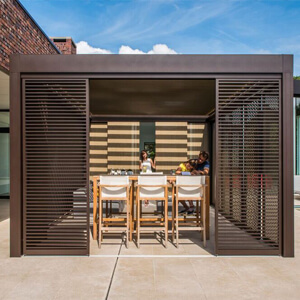 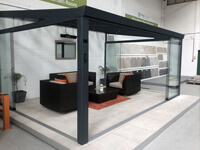 To discuss how a contemporary veranda or garden room could improve your outdoor living space, why not get in touch with one of our experts, or even pop into a showroom near you to have a face-to-face demonstration of our garden structures. 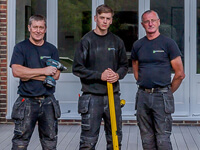 We can even organise a home visit, where one of our specialists can measure up, talk to you about your ideas and talk through what options you have available to you.